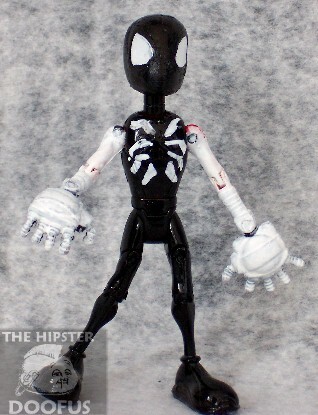 From the artwork of Kaare Andrews and Skottie Young, The Hipster Doofus is proud to present action figures from the Marvel Mangaverse one-shot and mini-series of "Spider-man:Legend of the Spiderclan". Based on the success of the Spider-man classics Manga Spider-man figure, The Hipster Doofus brings you three new characters for the series. 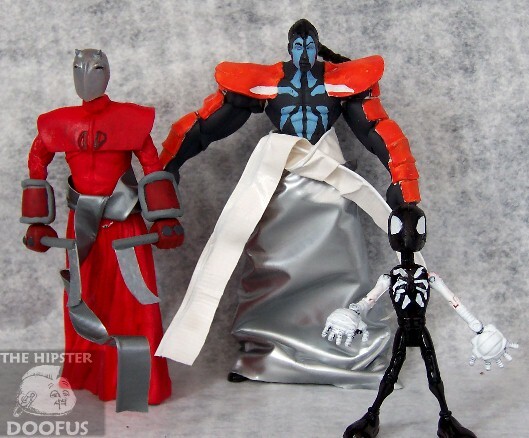 Included in this set are a Symbiote version of the original Manga Spider-man with an all new paint scheme. 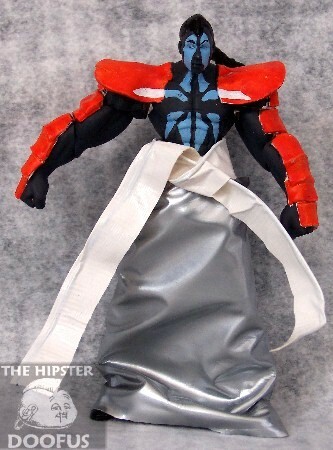 Debuting in this set is the evil sensei Venom, complete with armor. This new series wouldn't be complete without Matt Murdock, The Devil Hunter, intent on bringing down young Peter Parker and the Symbiote. 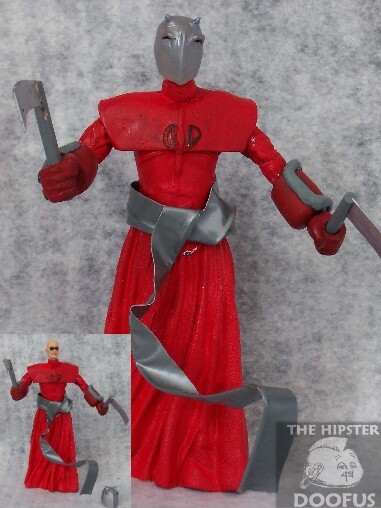 The Devil Hunter figure features a removeable helmet and two authentic Kamas. Randomly inserted certificates will allow collectors to purchase mail-order chase figures of the Black Cat and Peter Parker's sensei, Ben.